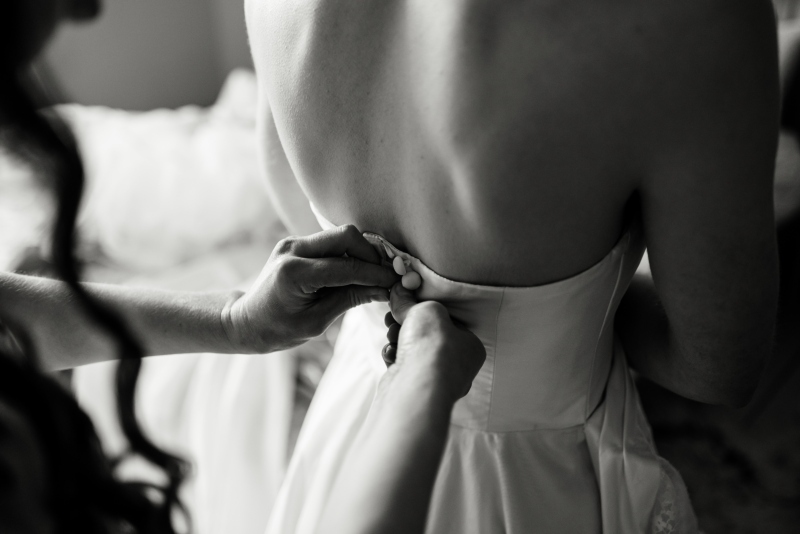 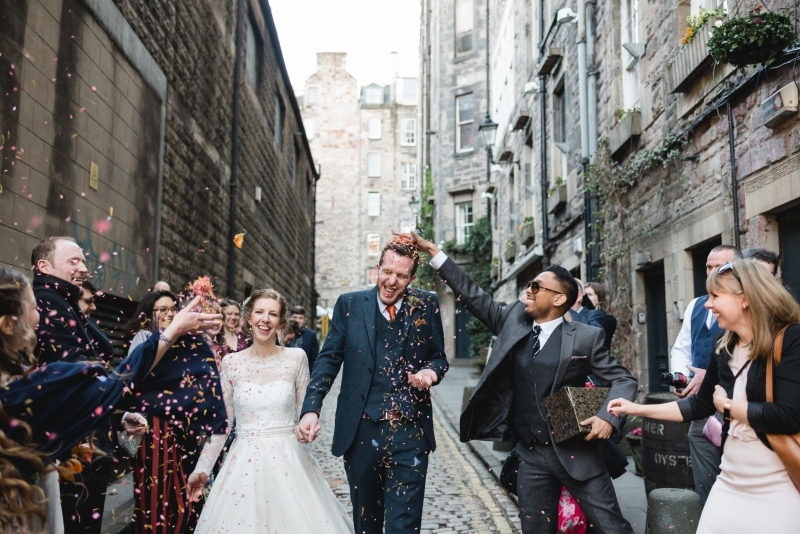 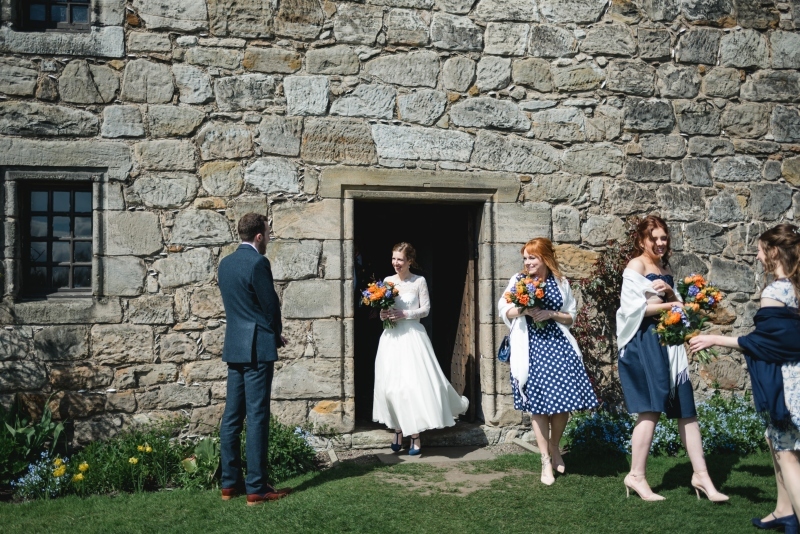 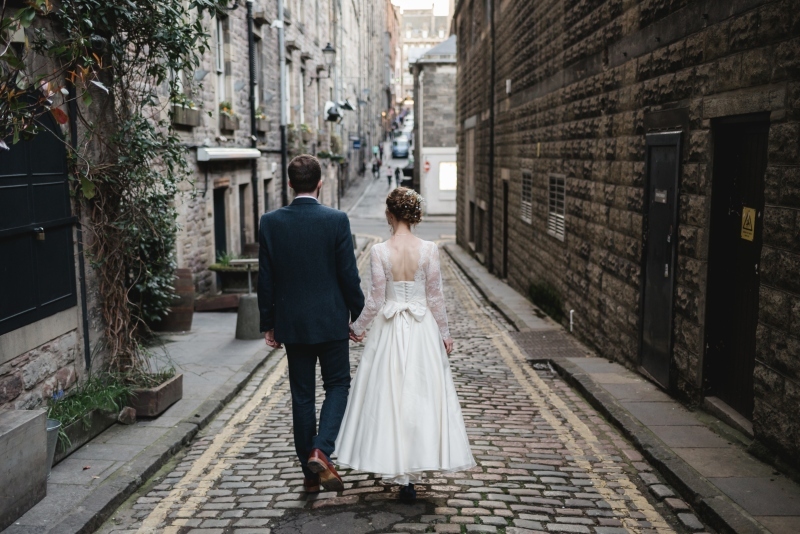 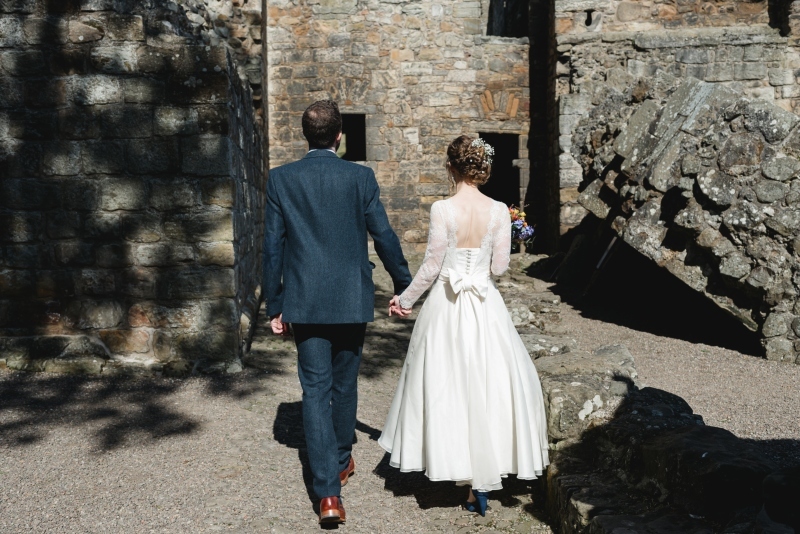 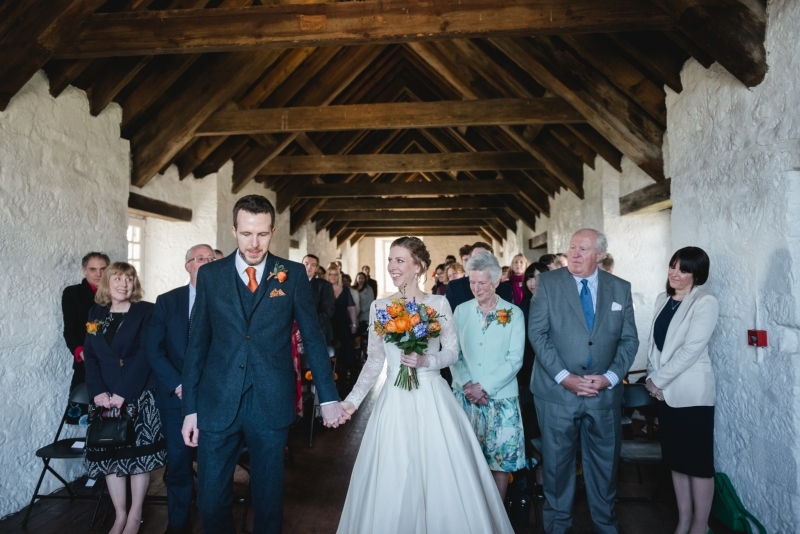 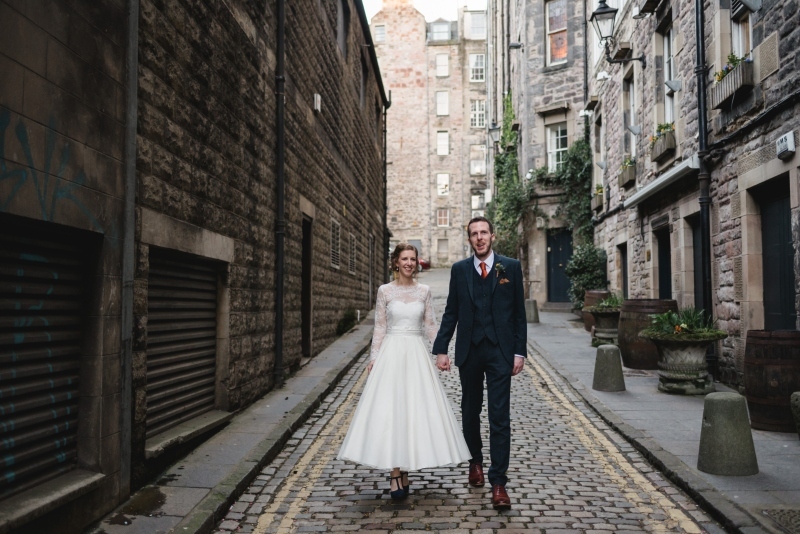 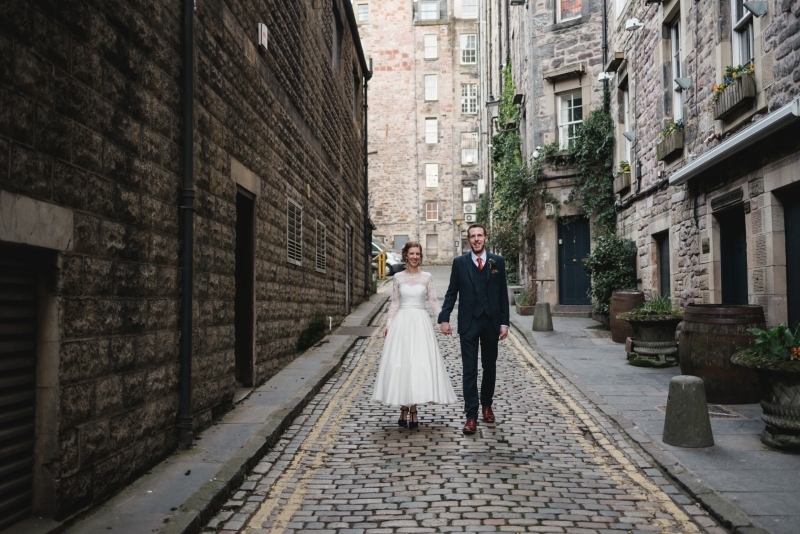 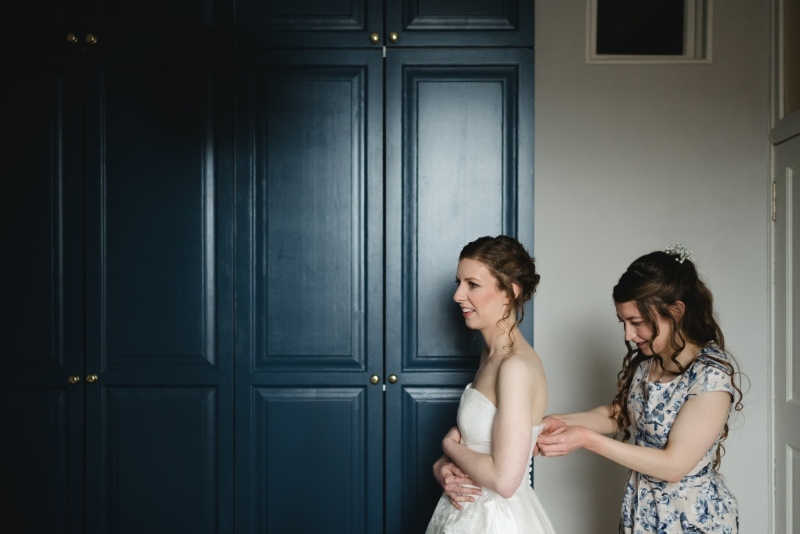 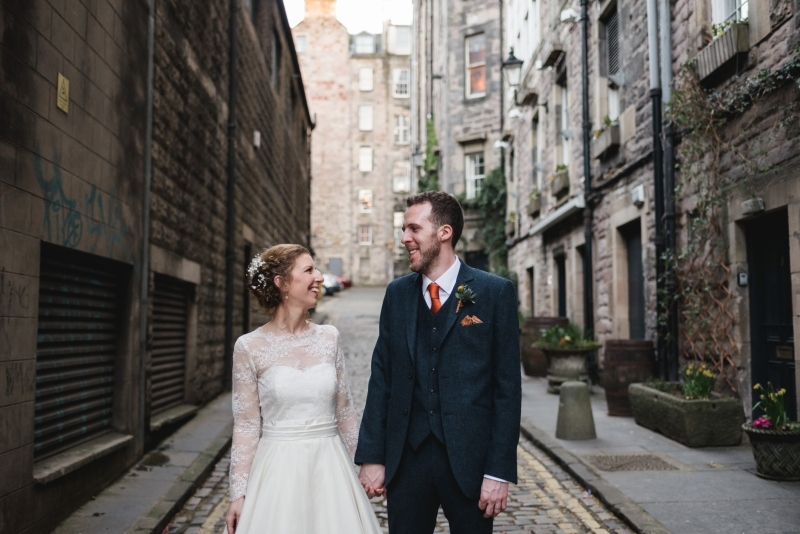 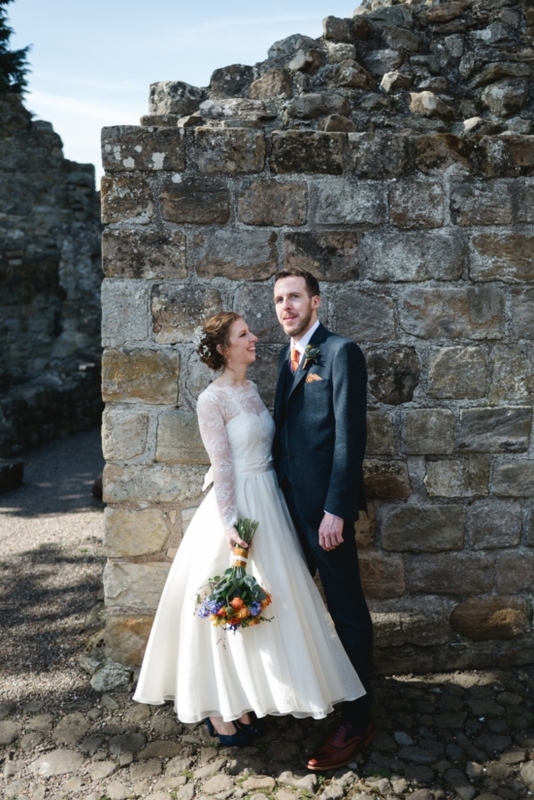 Fitting wedding dress for Scottish Castle Wedding in Aberdour in Fife. 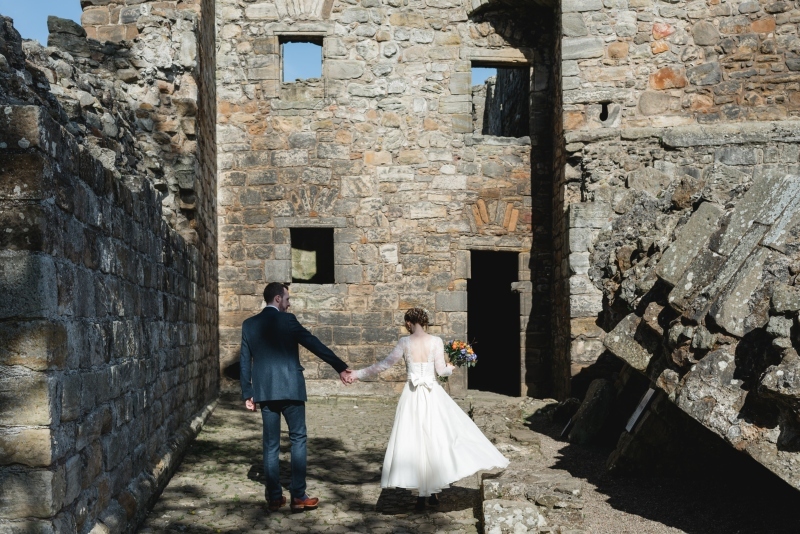 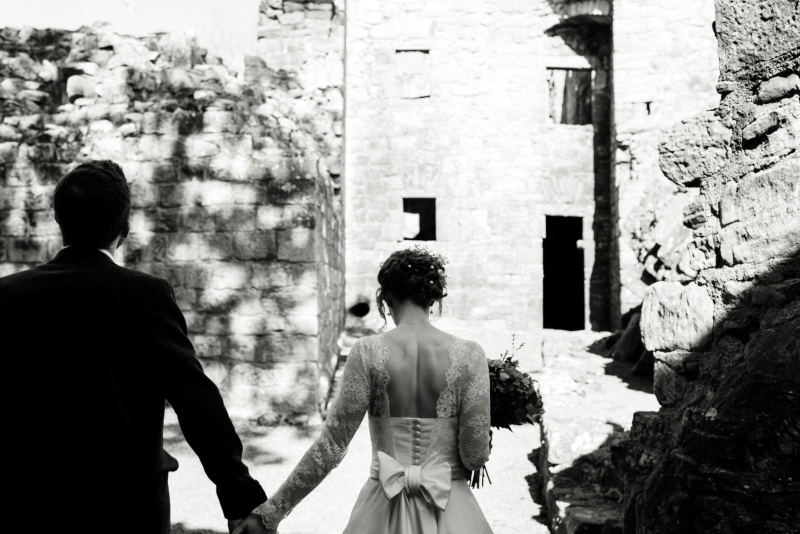 Having dreams of a Scottish Castle wedding, with a wedding dress to fit the theme. 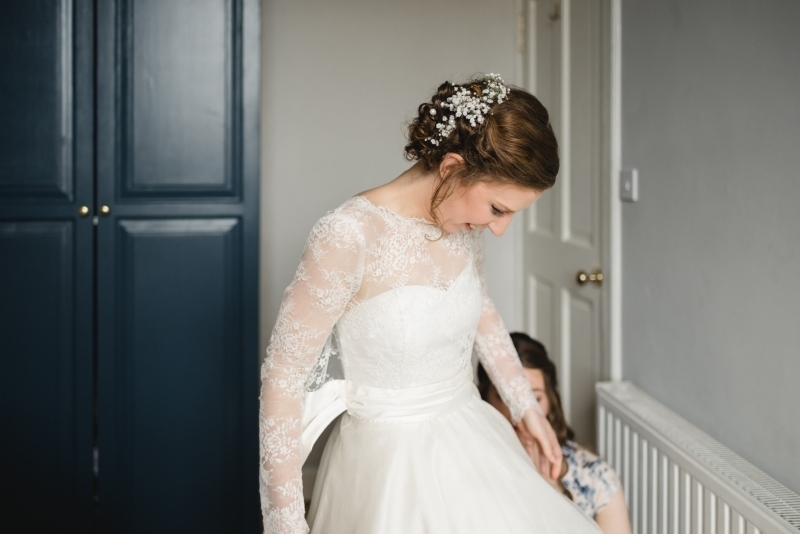 Rachel was falling in love with the Astrid Dress from our collection. 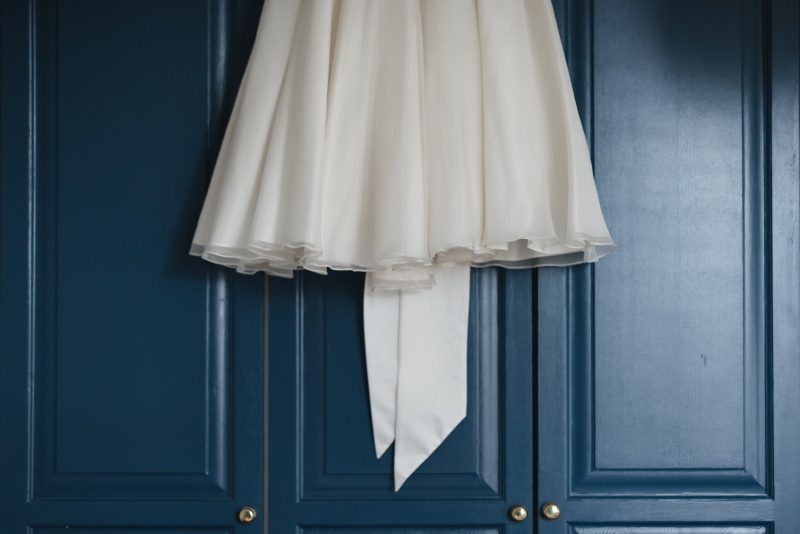 We make the Astrid dress in silk dupion and Chinese silk organza overlay. 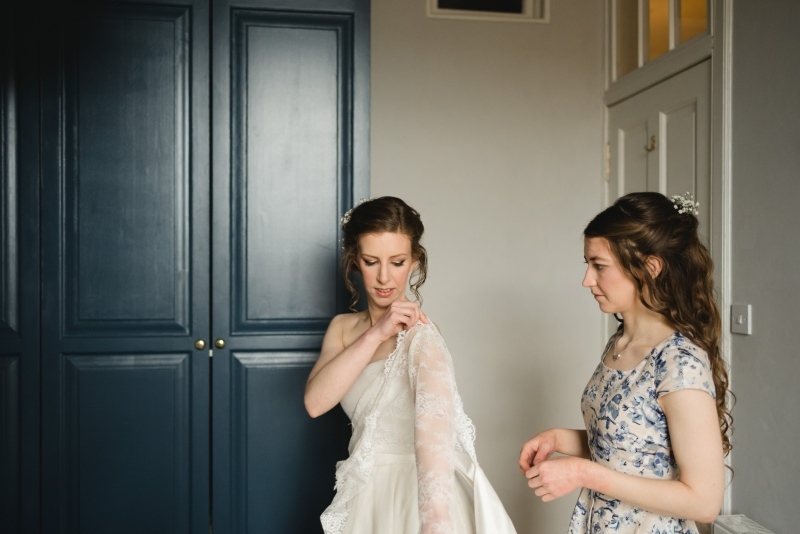 With the dress, Rachel chose to wear the dress with a Chantilly lace jacket. 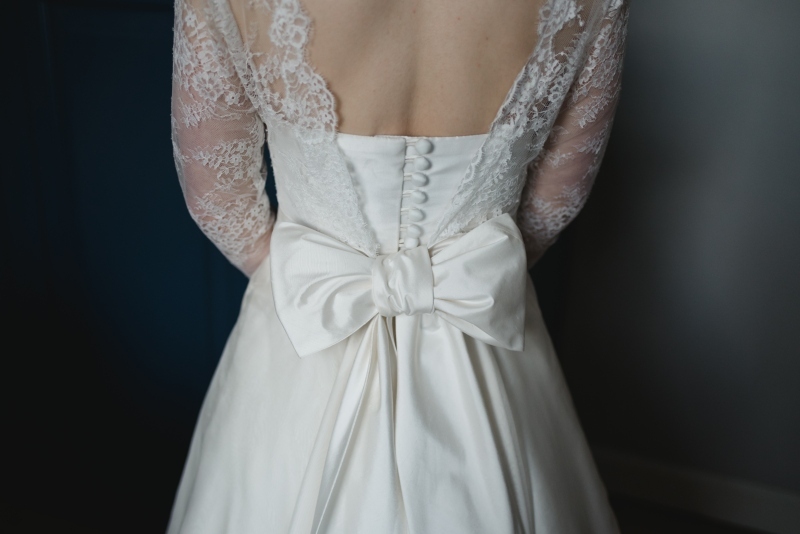 The lace jacket had scalloped lace edges on the neckline and a deep silk pleated belt which tied in a big soft bow at the back. 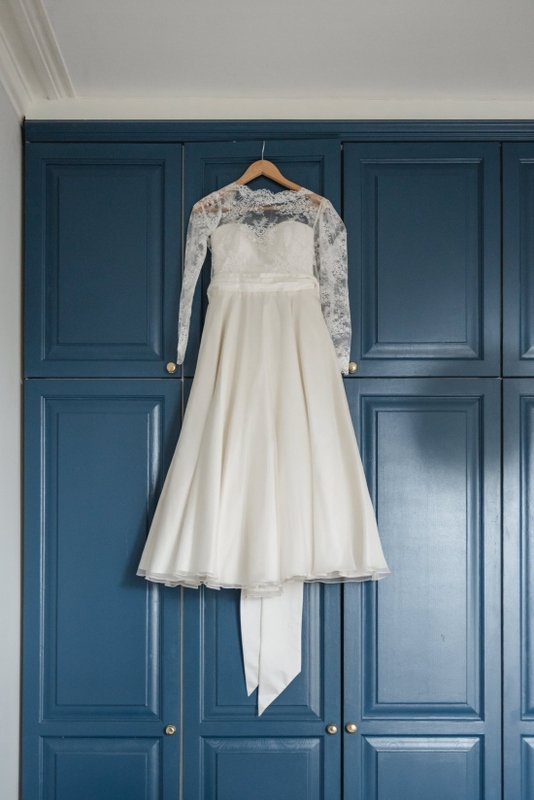 The silk materials and fine lace make the dress so light and easy to wear. 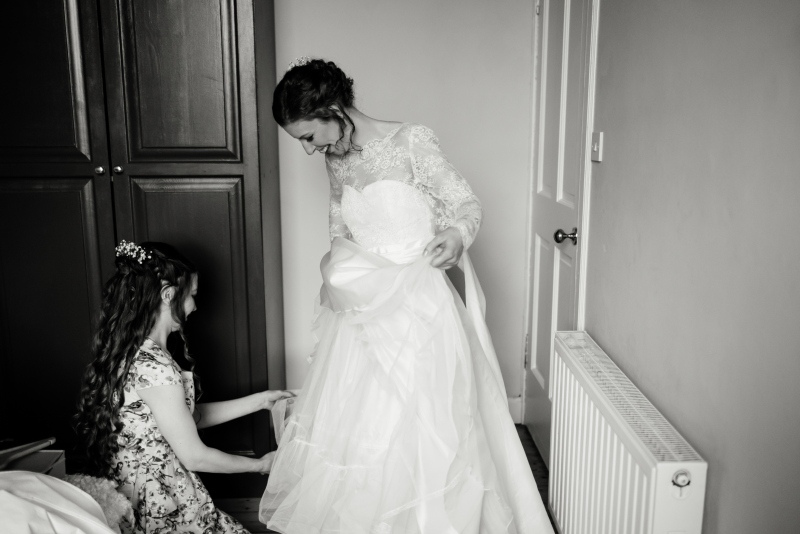 Cutting the dress in a ballerina length, meaning that Racheal was free to roam around on the cobblestones in the castle and after the dinner in The Rowantree in the old town. 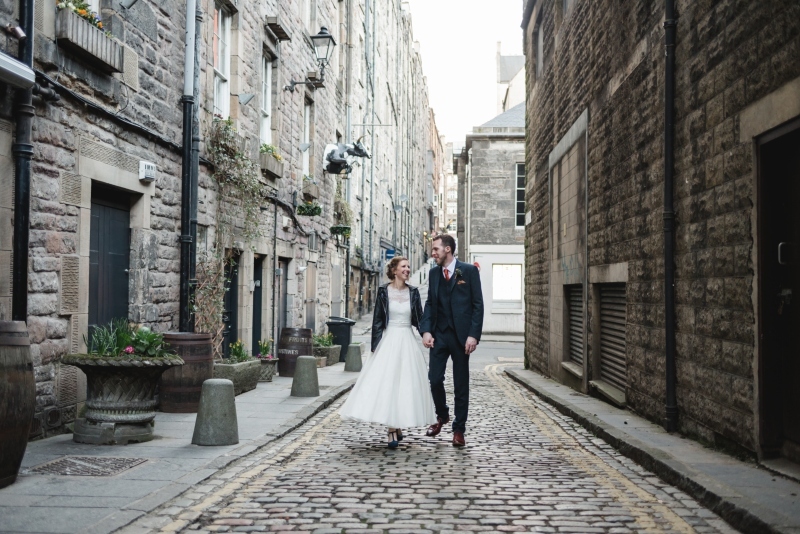 Thank you so so much to Mack Photo for supplying those stunning shots.